Attendees of Apple's Worldwide Developers Conference this week received copies of a "near final" version of Mac OS X 10.6 Snow Leopard following Monday's keynote. As we had heard just prior to the start of the conference, Apple is distributing Build 10A380 to the conference attendees. 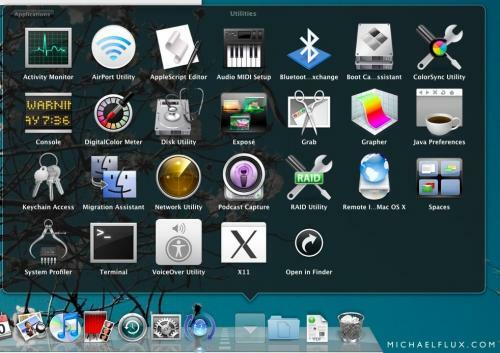 While a number of sets of screenshots and even videos have surfaced from Snow Leopard developer builds over the past few months, each release has brought some new tweaks, and Build 10A380 is no exception. Michael Flux has posted an extensive gallery of screenshots from the new Snow Leopard build, highlighting several changes to the operating system. - Stacks Navigation: Navigation within Stacks from the Dock using Grid view has been changed from previous developer builds. Whereas previous builds allowed users to navigate folder hierarchies using small icon versions of parent folders, Build 10A380 now utilizes text buttons in the upper left corner for navigation to parent folders. Gizmodo also offers further explanation of changes to the Dock and Expos in Snow Leopard, highlighting the new ability to scroll within a Stacks window in Grid view. - Safari Contextual Menu Options: Apple has added two new contextual menu options within Safari. 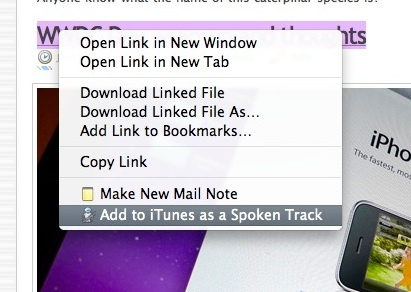 When selecting and right clicking on any text within Web pages, Safari now offers the ability to easily create new Mail Notes from the selected text or convert the selected text to speech and have the file added to iTunes. 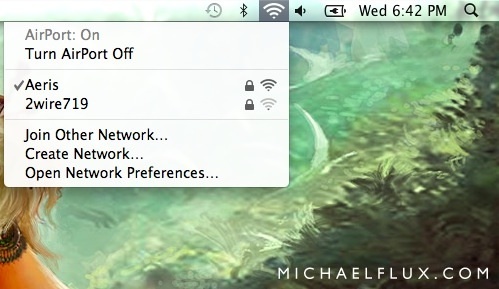 - AirPort Menu Signal Strength Indicators: The AirPort Menu Item now shows signal strengths for all networks within range without having to join the networks, aiding in network selection in locations with many possible choices.